Jason McCall is the author of Silver (Main Street Rag), I Can Explain (Finishing Line Press), Dear Hero, (Winner of the 2012 Marsh Hawk Press Poetry Prize) Mother, Less Child (co-Winner of the 2013 Paper Nautilus Vella Chapbook Prize), and Two-Face God (WordTech Editions). 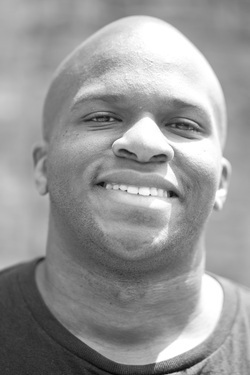 He is also the co-editor of the anthology It Was Written: Poetry Inspired by Hip-Hop. He holds an MFA from the University of Miami, and he is from the great state of Alabama, where he currently teaches at the University of North Alabama.